Christie's recently released the catalogue for their November Geneva sale. Many of the highlights exceeded my expectations of what would be consigned at a biannual auction, such as the inclusion of many fine and rare chronographs from Eberhard, Longines, and Omega. In addition, a small collection of Stella dial and highly-jeweled variants of the Rolex Day-Date will be featured. In my opinion, the most important pieces of the sale are three exceptional white dial Rolexes: An early 6204 Submariner, a 6610 Explorer, and a 6556 Tru-Beat. How on earth could a simple white dial cause a $40,000 watch to turn into a $200,000 rarity? Well, first of all, let's address the fact that the aforementioned three watches are already considered highly-collectible. 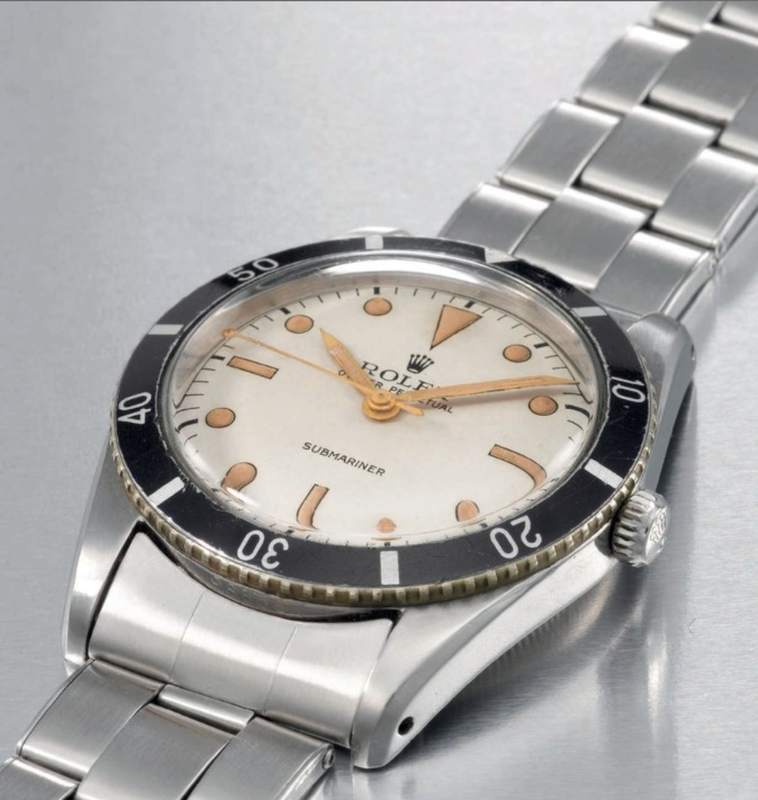 Furthermore, white dials are just not often seen on vintage Rolex sports models, with the exception of the 16550 Explorer II. According to Christie's, this wristwatch may very well be the only 6204 Submariner fitted with a white dial to ever appear in an auction. Much of this piece's value can be attributed to the remarkably rare white dial. The fine condition of the riveted bracelet and steel case, and the originality of the turn-o-graph bezel, no doubt augment the appeal of this Sub as an investment opportunity. All in all, I feel that Christie's set a good estimate and this will be an easy sell. So what is the Rolex Tru-Beat? It's just a Rolex Oyster Perpetual with a souped-up caliber 1030 movement, honestly. Kind of like the Rolex Commando, Rolex's no-frills take on the 1016 Explorer, the Tru-Beat is one of those pretty standard watches that has transformed into somewhat of a big-ticket vintage Rolex. What Rolex did was modify the caliber 1030 with a dead beat jump seconds mechanism (ticks like a quartz watch, but it's still an automatic). The result: A caliber 1040. The estimate is quite fair for such a seldom-seen wristwatch.